Promising a new powertrain that’s “sure to get enthusiasts abuzz,” Dodge is set to bring two updated models to the New York International Auto Show next week. The 2015 Challenger, expected to be smaller than the current car, has been thoroughly redone, inside and out. Powering the new muscle car will be the much-rumoured 6.2-litre ‘Hellcat’ supercharged V8 with nearly 700 hp, putting pressure on the V10-powered Viper. 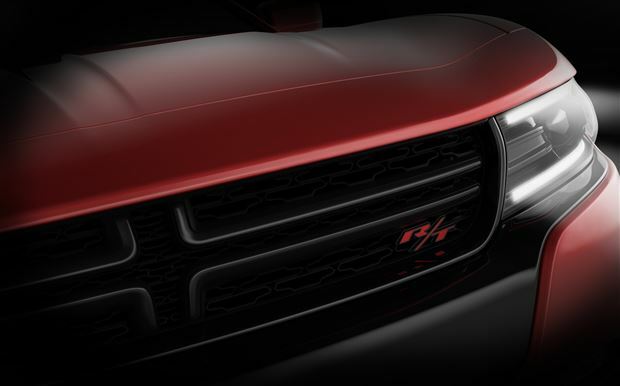 For the Charger, also expected to be available with the same engine, Dodge will show an update for 2015 featuring brand new sheetmetal while retaining the same basic dimensions.